Regardless of the number of implants placed, you may choose from a wide variety of implant bar types meeting many different clinical and patient specific financial situations. These incredibly strong prosthetic devices are custom fabricated and precisely milled from titanium, chromium cobalt or zirconia to create a perfect, passive fit. 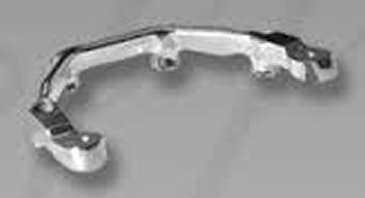 Our bars are compatible with most implant systems and are ideal for “All-on-4” type cases. Using the latest industrial 5-axis milling machines, our technicians create bars that provide excellent stability and are resistant to rotation and lateral movements. Implant bars increase the range of dental restorative options available to your patients When restoring the edentulous patient many factors, such as clinical situation, patient expectations and financial situation need to be understood in order to find the best restorative solution. 360SDM offers a wide range of implant bars to meet virtually every need. Implant bars are a treatment option for patients with hard and soft tissue loss. Implant bars with an overdenture provide easy hygiene and maintenance for both patients and the dental office. 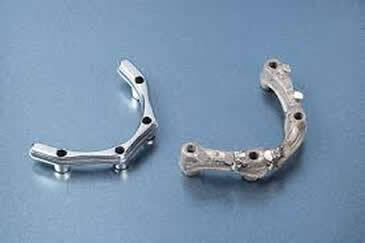 This is an option to a bone grafting procedure even for patients with substantial bone loss. This prosthesis will improve a patient’s quality of life, allowing for normal speech, mastication and an improved quality of life with an increased level of self-confidence. Various Fixed Applications may be considered which offer replacement of natural dentition and offer direct access to implants, There are different types implant bars, including, Wrap around and Montreal. Fixed-removable solutions include replacement of teeth and soft tissue, as well as easy maintenance for elderly patients. Available implant bar types: Dolder®, Hader®, Round and Free Form Milled. 360SDM Implant Bars are milled from a solid monolithic biocompatible titanium ingot/disc. They are delivered finished and ready to deliver to the patient. The attachments are screw-retained and delivered with the bar. It allows for easy immediate placement and maintenance. Dolder® Clips, Zest® anchors or ball retention applications are available. Available for major implant manufactures, such as Straumann®, Nobel®, Dentsply®, 3i, Zimmer®, Keystone®, Hiossen®, Osstem® and more. We are adding manufacture compatibility on a regular basis. See 360SDM Custom Abutments for compatibility chart.